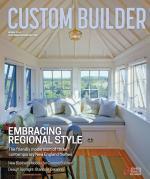 Business financials advice, reports, and trends for professional home builders and remodelers. Is A GMP Contract Right For You? Confidence. Such a simple word but also a word that may have more to do with your success or failure than any other. A large portion of a multibillion-dollar settlement between the state of Ohio and several large mortgage lenders will go toward demolition of foreclosed, dilapidated houses in the Cleveland area instead of struggling families as intended. A new report from Bloomberg indicates that first-time homebuyers are having difficulty securing loans thanks to student loan debt totals nearing $1 trillion. In his first State of the Union address of 2012, President Obama briefly discussed a pair of proposals to help the housing industry this year.